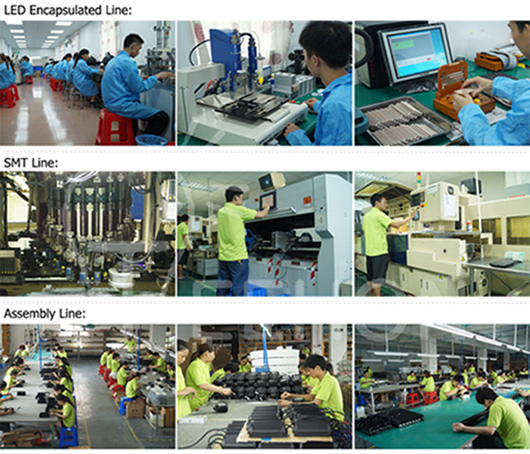 Established in 2008, Guangzhou Teehon Electronics Co.,Ltd. has been dedicated to developing & manufacturing automotive LED lighting over 7 years, our qualified products include LED light bar, LED work light and LED driving light, etc,Â all of our products are CE, FCC, RoHS and IP67 certified, and part of them are E-mark certified. Strong R&D capabilities and powerful production strength is our advantage, to develop a new product (including housing and circuit board) costs only 30 days, andÂ our modern factory is able to turn out 15000pcs LED light bar & 90000pcs LED work light monthly. Q: What's your after-sales service and warranty? Q: Do you accept ODM&OEM orders? A: Yes, we provide ODM&OEM services to worldwide customers, we are able to customize housings in different styles, and LED bulbs in different brands, we also customize circuit board & packaging box as per your requirements. Q: How to work with you on ODM&OEM orders? 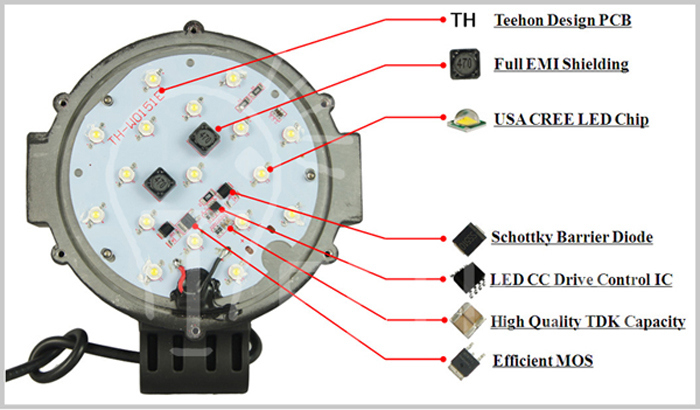 3.Various colors of LED bulbs customization: MOQ is 10pcs, meanwhile the price will be increased. A: MOQ is 10pcs for standardized products; for customized products, MOQ should be negotiated in advance. There is no MOQ for sample orders. A: The lead time for sample orders is 3-5 days, for bulk orders is 5-15 days. Q: How to place orders? LED DJ Booth is used different product models and structures as different conditions, which can be customized to the scene modeling. It can be spliced out the unique shape with different sizes of triangles, rectangles, hexagon. Unique DJ Table is not limited to kinds of environment. The application of the relevance and the shape of DJ LED Video Wall can enhance scene recognition. LED Bar Display will not only present a delicate and realistic color performance through the synchronization adjustment, but also is compatible with different sources of input such as TVV, HDV, DVI, VGA, SDI. We adopt SMD technology to achieve super-wide viewing angle and better surface smoothness. Super light cabinet is to realize easy installation and maintenance that can be customized for shapes, sizes, pixels, resolution.